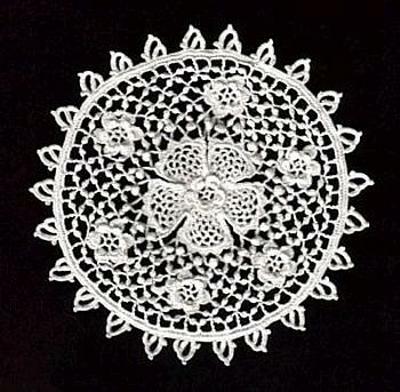 The flower pattern is taken from Needlecraft. 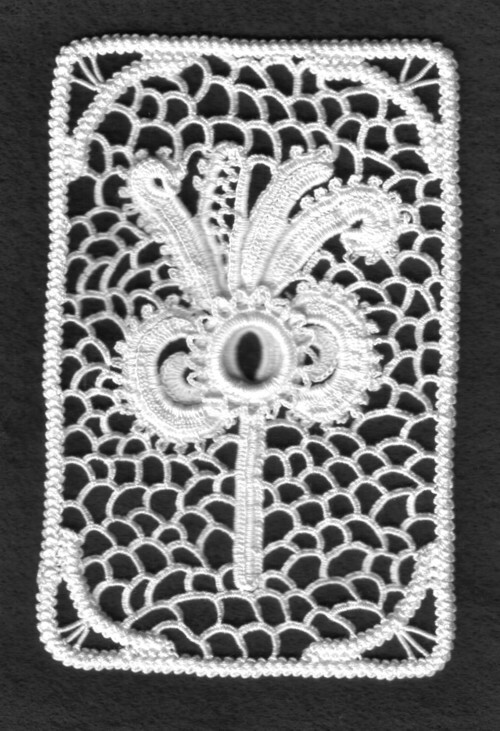 The crochet braid used is an outline is used in Romanian Point Lace. 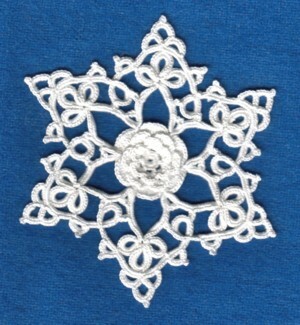 I also used a needle lace stitch for the background instead of a crochet filling normally used in Irish crochet. 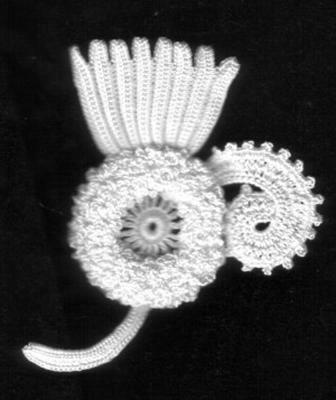 The background consists of long Clones knots with closed Clones knots around the center rose. 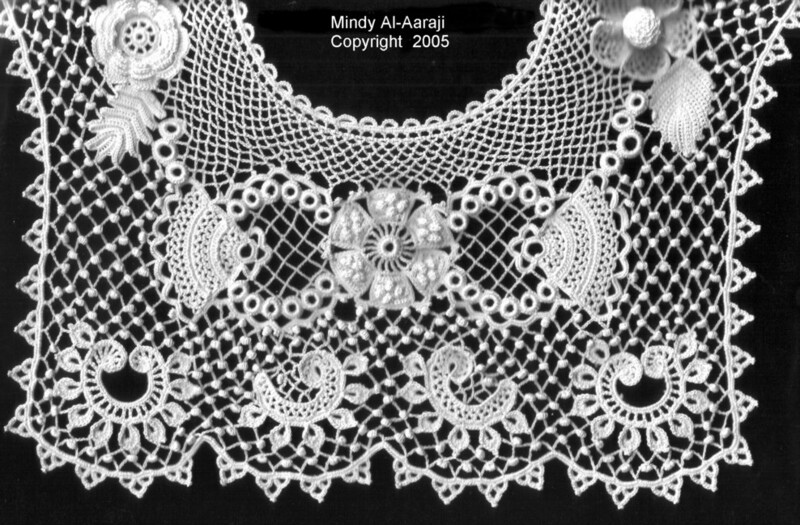 Clones Lace: The Story and Patterns of an Irish crochet. 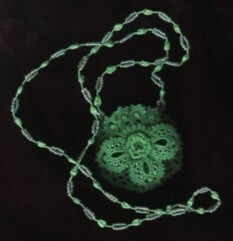 This necklace is made from pattern book 6 of my Irish crochet necklace series. This thread is a #60 Coats mercer and has been discontinued. There are only 2 necklaces made from this thread, one for Maire Treanor of Clones, Ireland and the myself and the other for myself. 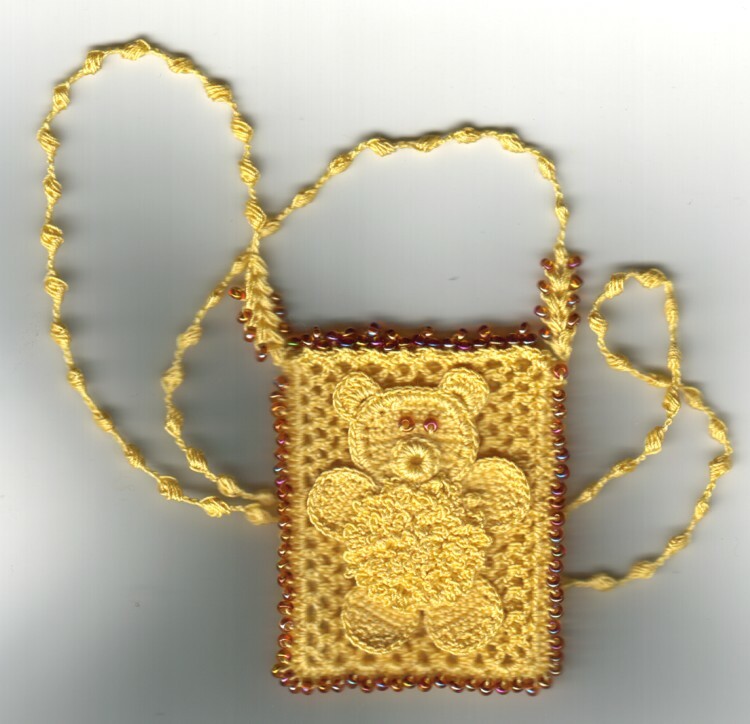 It is my favorite necklace!